The landscape is littered with airlines that failed to make a go of servicing this country's regions. Passenger numbers can be erratic and any newcomer runs up against Air New Zealand's strong loyalty programmes, pricing power and capacity. Without decrying our national carrier, the benefits to consumers of competition alone provides a reason to applaud Jetstar's confirmation it will start services to Nelson, Napier, New Plymouth and Palmerston North. Competition between the low-cost Qantas subsidiary and the national carrier on main trunk routes has prompted a drop in fares during the past six years. Travellers to and from provincial centres serviced by Jetstar will benefit from more of the same. The airline has been looking to challenge Air New Zealand's stranglehold in the regions for a couple of years. Now is an appropriate time given reduced fuel costs and the recovery of Qantas. Jetstar can also use surplus aircraft from its parent's QantasLink operation in regional Australia. In at least one respect, its provincial operation here stands a greater chance of survival than that of its predecessors. Its regional links will feed into its transtasman operation and Qantas's international partners, such as Emirates. Such linkages are vital, as the collapse of Origin Pacific illustrated. Origin's fate, and that of others, has made airlines wary of venturing into the regions. Pacific Blue, for example, looked at cherry-picking some routes that it reckoned were under-served, but never did. Jetstar seems to have been reasonably astute in its choice of destinations. It has eschewed the likes of Hamilton, Tauranga and Rotorua, presumably in part because they are on the itinerary of increasingly popular self-drive holidays from Auckland. Instead, it has gone for destinations that are more out on a limb but still have potential for increased tourist numbers and business growth. The secret to Jetstar making these routes profitable is increased overall passenger numbers, rather than expecting to to cut deeply into Air NZ's patronage. The latter is in exceptionally good health, as evidenced by its record $327 million net profit in the latest June year. And it turned its focus to its regional operations as recently as a year ago after the Prime Minister criticised its fares. This led to some fare cuts, improved capacity to some centres, and withdrawal from three unprofitable routes. 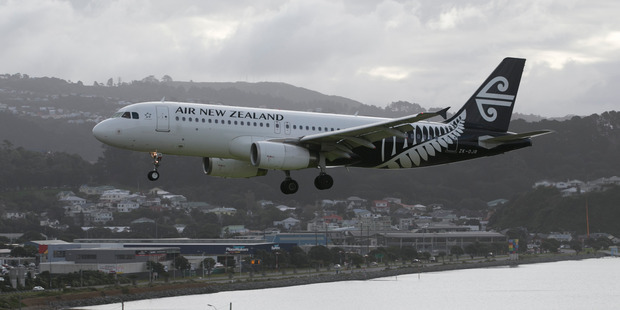 Air NZ has indicated it will meet Jetstar head-on. Last week it said it would slash 2 million flights to below $100 in the coming year. It is also spending $300 million upgrading its regional fleet over the next four years. This, it says, will give it a cost advantage. The challenge facing Jetstar should not be underestimated. Air NZ has done a wonderful job confronting Qantas internationally and its budget subsidiary on main trunk routes. Jetstar's introduction to NZ was marred by an array of self-inflicted wounds. It is now much more sure-footed, and has been prepared to deliver a vote of confidence in the regions. This infusion of competition is extremely welcome, not least for the provincial centres that will benefit the most.